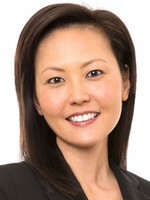 Jennifer Ko Craft is a Media, Sports & Entertainment Attorney for Dickinson Wright Las Vegas. She practices primarily in the areas of domestic and international trademark and copyright prosecution, licensing and enforcement. A graduate of the University of Arizona, Ko Craft worked for various law firms before joining Dickinson Wright in 2015.